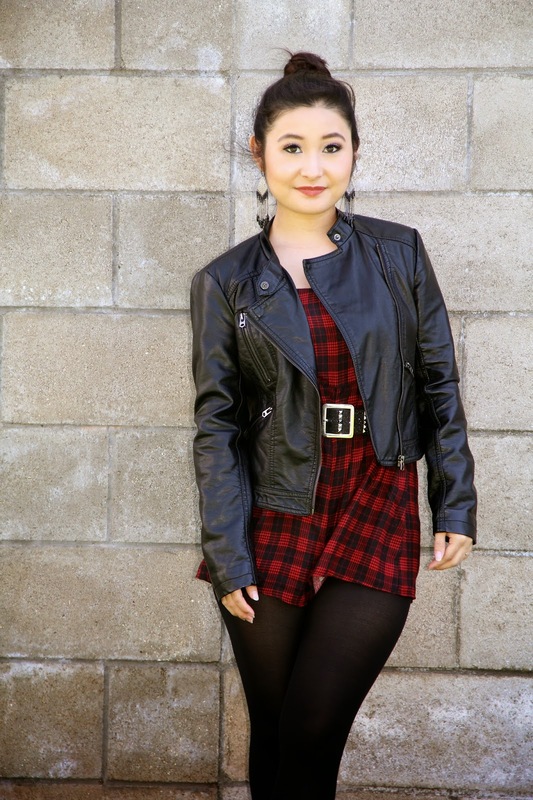 Plaid is just one of those prints that never goes out of style, especially for fall. 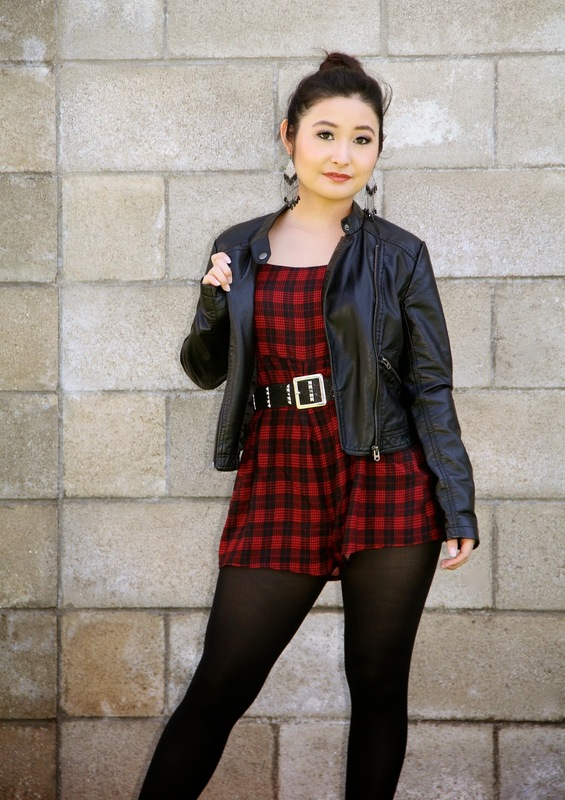 Here, I paired a red plaid romper with black tights and a faux leather jacket to give it a bit of an edge. *(Fashion Tip: Wearing tights under rompers is a great way to transition your closet from summer to fall.) As for shoes, I kept it simple with Mary Jane style platform pumps. Hope you have a splendid Monday! Sending you lots of love from my heart to yours!